Can Technology Cut Car Insurance Costs? Insurance companies are using apps to track drivers in an effort to bring the cost of car insurance down. 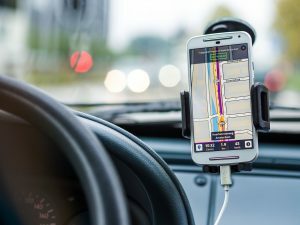 A Rhode Island insurance company is the latest to experiment with an app to track drivers in a quest to cut the cost of car insurance. High Road Assurance Company uses an app to track drivers, rewarding drivers with varying monthly discounts depending upon how safely they drive. The app scores drivers based on braking, acceleration, speed and cornering. The driver’s score and projected discounts are updated after each drive, giving customers a real-time reflection of the discounts they’ve earned. For some drivers, the app provides real incentives to make safe driving a priority. HiRoad knows how you’re driving by collecting information from the sensors inside your phone, which includes the GPS location and readings from the accelerometer and gyroscopes, two sensors which measure how the phone is moving and which way it’s pointed. The app records the distance a driver travels and how long the trip takes. In addition to scores on braking, acceleration, speed and cornering, HiRoad also logs the route taken and displays a map for the driver. The Rhode Island experiment is just one of several as companies use technology to try to make driving safer and bring down the cost of car insurance for good drivers. Allstate, Progressive and Nationwide are among the car insurance companies with programs designed to reward good driving with lower car insurance rates.